This is where you can see samples of my art and ongoing design projects. 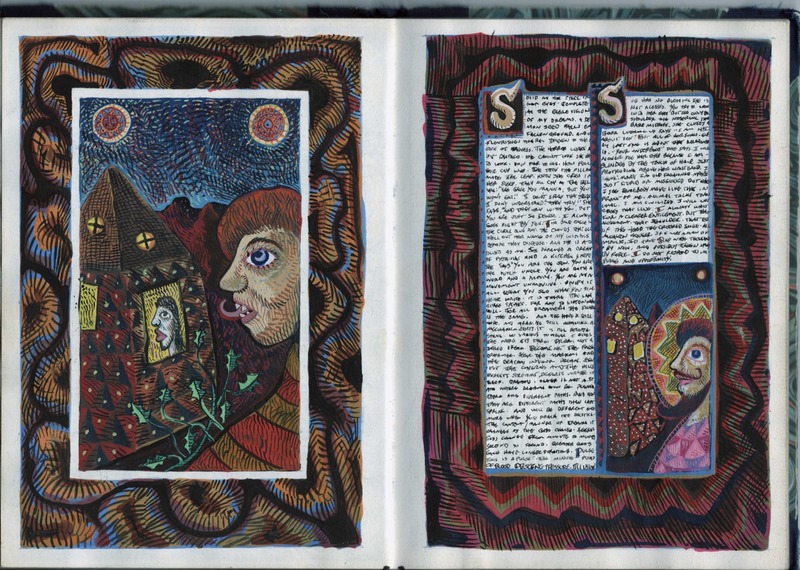 For example, I make a lot of Illuminated books- handmade, hand written and illustrated. These projects started as journals back in the 80’s, but they have transmogrified into this new, larger project which now stands at some 30 volumes in various sizes. I call the project “Mind at Work, Mind at Play” and a lot of the writing deals with the need for both work and play in the creative process. Structure versus freeform? Planned versus Automatic? Building thought, or streaming thought?